E' pronto in cd e in dorato vinile trasparente l'album di Janek Schaefer What Light There Is Tells Us Nothing che contiene il lungo omonimo brano desunto dal Cuckooland di Robert Wyatt e commissionato da Matt Wright per una speciale installazione ospitata dal festival Sounds New a Canterbury nell'edizione del 2014. Lo pubblica Temporary Residence Ltd.
For over 20 years, British sound artist Janek Schaefer has earned significant acclaim and awards for transforming the power of half-forgotten memories into otherworldly works that are often as ambiguous as they are evocative. Primarily occupying the space and similarities between sadness and joy, his compositions relish in the unpredictability of emotional gravity. It is this transience that makes his new album, What Light There Is Tells Us Nothing, so resonant. In 2014, Schaefer was commissioned by the Sounds New Festival in Canterbury, England to craft a new, original piece of music made entirely of elements from Robert Wyatt’s Cuckooland album. Originally designed and presented at the festival as an immersive, multi-channel radio installation, the 21-minute cloud of sound was a sublime meditation on the profundity of Wyatt’s work, and its transporting idiosyncrasies. 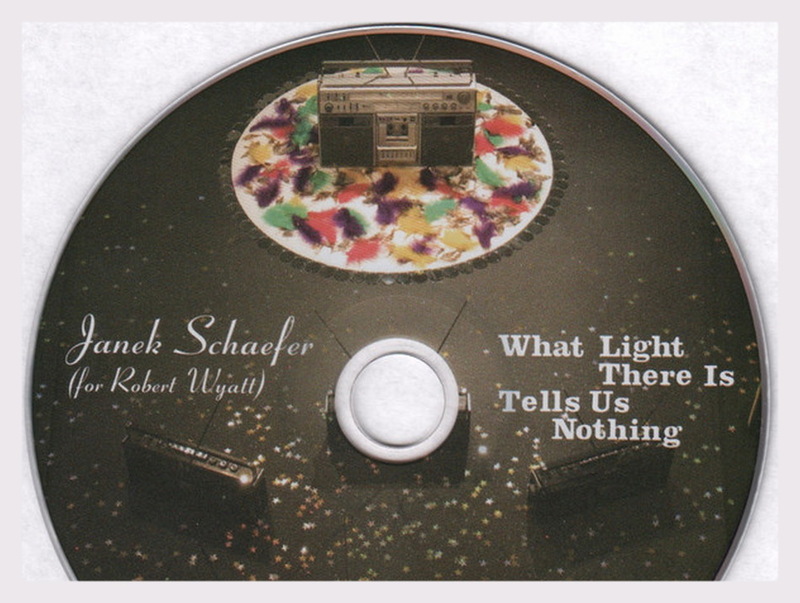 With Wyatt’s blessing, Schaefer adapted that piece into the side-long opus, What light there is tells us nothing, and complimented it with seven new, original compositions that not only exist in the same wondrous space, but echo its playfully poignant resonance well after the album has ended.